Among patients with persistently high cholesterol despite high-intensity statin therapy, the proprotein convertase subtilisin-kexin 9 (PCSK9) inhibitor alirocumab reduced rates of major adverse cardiovascular events (MACE) by 15% compared with placebo, in a study presented at the American College of Cardiology's 67th Annual Scientific Session. The drug's effect was even greater for patients at highest risk–those who started the study with LDL, or "bad" cholesterol, of 100 mg/dL or higher–who saw a 24% reduction in cardiovascular events, including heart attack and stroke, compared with placebo. The trial, called ODYSSEY Outcomes, was conducted in patients who had recently had an acute coronary syndrome (ACS), an umbrella term that includes heart attack and unstable angina. Such patients face a substantial risk of further cardiovascular problems and related death, particularly if their cholesterol level is not adequately controlled. Alirocumab is a fully human monoclonal antibody that works by blocking PCSK9. This action of the drug allows the liver to remove more LDL from the blood and lowers the concentration of LDL cholesterol in the blood. 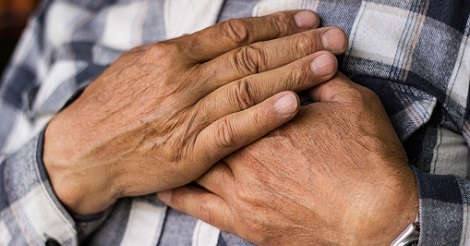 Previous research has shown that PCSK9 inhibitors reduce LDL levels by about half–but ODYSSEY Outcomes is only the second large, randomised trial to investigate whether this LDL reduction translates into improved cardiovascular outcomes. It's the first study with a PCSK9 inhibitor to show an associated mortality benefit, researchers said. FOURIER, the first outcomes trial, presented at ACC.17, similarly reported that evolocumab, a different PCSK9 inhibitor, reduced the risk of death, heart attack, stroke, hospitalization for angina or revascularization procedures to clear blocked arteries by 15%. Compared with FOURIER, the ODYSSEY Outcomes trial enrolled a higher-risk group of patients, had a longer duration of follow-up (ranging from two to five years), involved a different dosing strategy and had a slightly different primary endpoint. In addition to significantly reducing the primary endpoint–a combined rate of heart attack, stroke, hospitalisation for unstable angina or death from coronary heart disease–alirocumab was also associated with a 15% reduction in death from any cause among the full patient population and a 29% reduction in death from any cause among those who started the trial with LDL cholesterol above 100mg/dL. The study did not raise any major safety concerns for alirocumab. "We were really pleased to see the treatment was effective and associated with a reduction in mortality. It is remarkable that such a potent intervention is also so safe," said Philippe Gabriel Steg, MD, chief of cardiology at Hôpital Bichat in Paris and co-chair of the study. "Because the treatment effect was so much more marked in the patients with the highest LDL cholesterol, we believe that these patients are the optimal candidates for therapy." Researchers enrolled nearly 19,000 patients at more than 1,300 centres in 57 countries. All patients had ACS within one month to one year before enrolling in the study. The trial included those whose LDL cholesterol remained 70mg/dL or above, non-HDL cholesterol 100mg/dL or above, or apolipoprotein B 80mg/dL or above despite treatment with a high or maximum-tolerated dose of a high-potency statin (atorvastatin or rosuvastatin). Patients were randomly assigned to receive injections of either alirocumab or placebo every two weeks. Neither patients nor doctors knew who received the drug. To mimic the adjustments a doctor might make when using the drug, those patients randomized to receive alirocumab had their doses adjusted in a blinded fashion (neither patients nor doctors were aware of the adjustments) in efforts to reach LDL cholesterol levels of 25-50mg/dL. If LDL cholesterol levels dropped consistently below 15mg/dL, the patient was switched to placebo, again in a blinded fashion. Patients were tracked for at least two years, with 44% tracked for three years or more. Overall, the primary endpoint occurred in 9.5% of those receiving alirocumab and 11.1% of those receiving placebo, while 3.5% of those receiving alirocumab and 4.1% of those receiving placebo died. When researchers looked at causes of death separately, there was no significant difference between the two groups in terms of coronary heart disease and cardiovascular disease deaths. However, Steg noted there may not have been enough events in each subcategory to show a definite difference. Patients starting the trial with LDL cholesterol levels above 100mg/dL saw improvements in all outcomes that were assessed, including rates of heart attack, stroke, unstable angina requiring hospitalization, coronary heart disease death, cardiovascular death and death from any cause. Among these patients, the primary endpoint occurred in 11.5% of those receiving alirocumab and 14.9% of those receiving placebo, while 4.1% of those receiving alirocumab and 5.7% of those receiving placebo died. In terms of safety and tolerability, the only significant difference between the two study groups was minor local site reactions (mild itching, redness or swelling) at the injection site, which occurred in 3.1% of those receiving alirocumab and 2.1% of those receiving placebo. Researchers will use the trial data to evaluate the cost-effectiveness of alirocumab. PCSK9 inhibitors cost tens of thousands of dollars per year and are often not covered by insurers. "Now that we have two trials that consistently show benefits from PCSK9 inhibitors, and given the mortality benefit that we are reporting here for the first time, I think these results may change the equation for these drugs," Steg said. "We're not just talking about preventing nonfatal events such as heart attacks but actually preserving life." Researchers will continue to track patient outcomes for up to 10 years to determine whether the benefits continue after stopping the drug. The trial was funded by Sanofi and Regeneron Pharmaceuticals.